Happy Monday bloggers! I thought I’d bring you a little summer sunshine courtesy of the cute Magnolia stamps & the super talented (& equally sweet) Mandy Stacey! I will let these two beauties speak for themselves! Enjoy!! Thanks for reading today and thanks to Mandy for providing such great inspiration! From: Wish You Were Here: Candy! From: Don’t Forget Your Flair: Carol Mc! Please email me (Steph@SimonSaysStamp.com) with your address and the name of the blog you won from to claim your prize! Mandy what a pair of stunning cards! i do love the images and your attention to detail is amazing! Absolutely beautiful cards. The magnolia stamps are gorgeous. Love that little message bottle. I love the little vases, I actually have some that look like them. They are both beautiful card. Gorgeous cards! And wonderful coloring. Thanks for the inspiration! Wow – both of these cards are absolutely beautiful! I really love the birthday card – the colouring is outstanding! Gorgeous cards! Love the little glass bottle with the note inside. So cute! Absolutely gorgeous cards! Thanks for the inspiration! Lovely cards as always! Mandy has a knack for such beautiful cards and touches. Reps! So very very sweet. Love the coloring for sure! 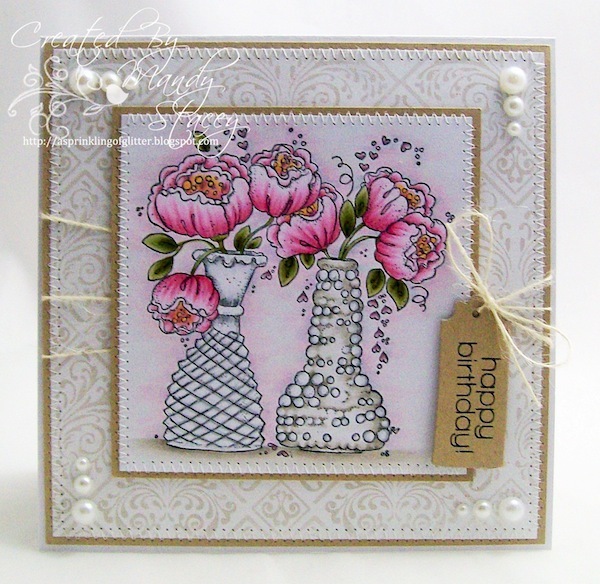 What stunning Magnolia cards- coloring, embellishments, layots are amazing. The coloring on these stamps is so pretty. I love your combination of stamps. Beautiful card! I think that stitching adds a lot. Die Crazy in DieCember™ Challenge!